Avanti Hills at the Galleria features 1 & 2 bedroom luxury apartments in Bee Cave, TX. Experience a relaxed lifestyle only Avanti Hills can provide! Situated inside the Hill Country Galleria off Hwy 71 in Bee Cave, Avanti Hills offers different and unique one and two bedroom luxury apartments with designer finishes and a soft color scheme choice. Enjoy natural lighting in every apartment home and walk-in closets to help keep you organized. Our kitchens have fabulous designer cabinets and granite counter tops with modern black appliances. All of our homes come equipped with a washer and dryer, spacious patios, crown molding, 10' ceilings and so much more! 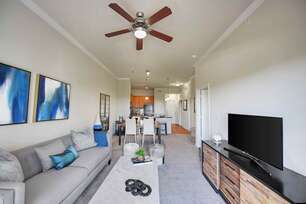 All within walking distance of shopping, fine dining and entertainment.